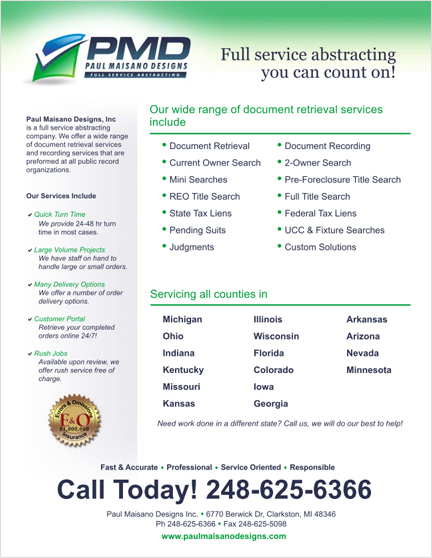 We are experts at researching and retrieving documents in all public record organizations. Our large range of abstracting services focus on quality research, accuracy of content, and delivering your specific order requirements on-time. Download our pricing brochure for up-to-date county availability and pricing.